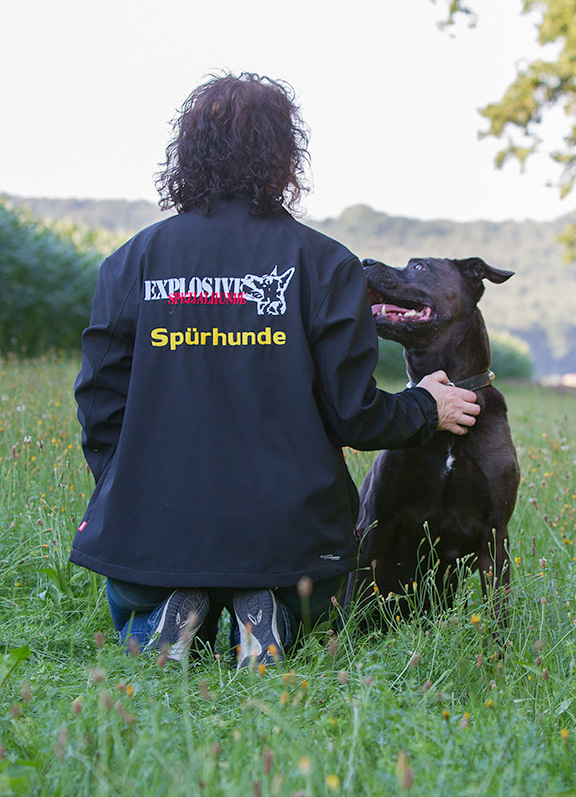 to the Explosive Special Dogs. 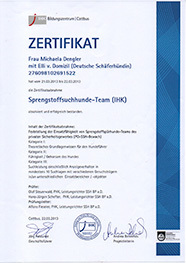 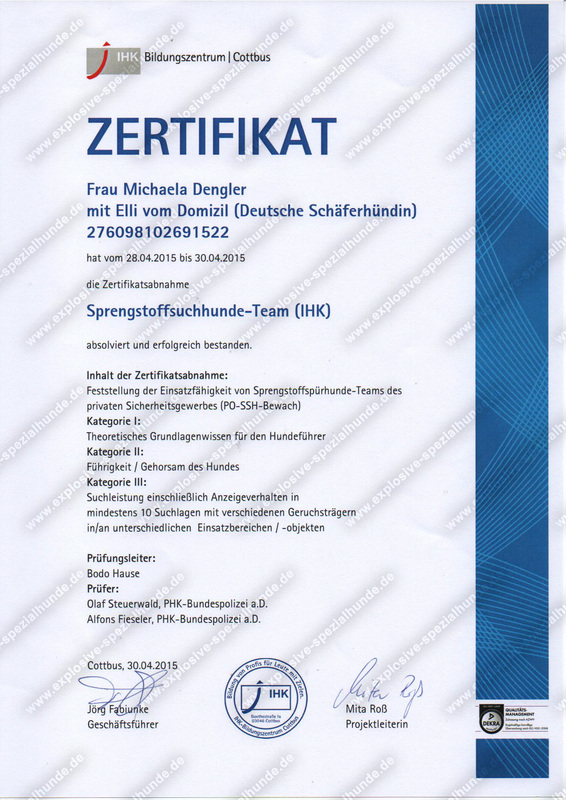 We are a security company with dog team from Bavaria and have specialized in the tracking dog work. 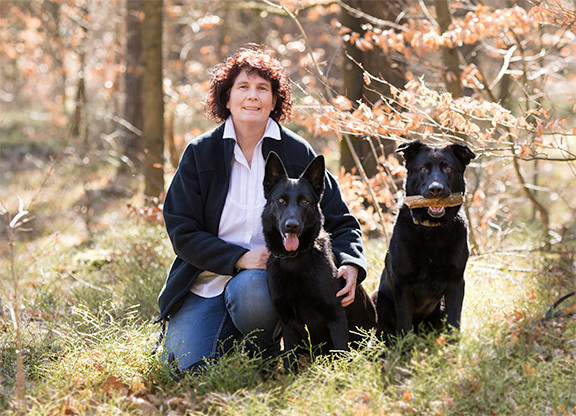 Our security company covers the areas of patrol with dogs, hall guard (e.g. 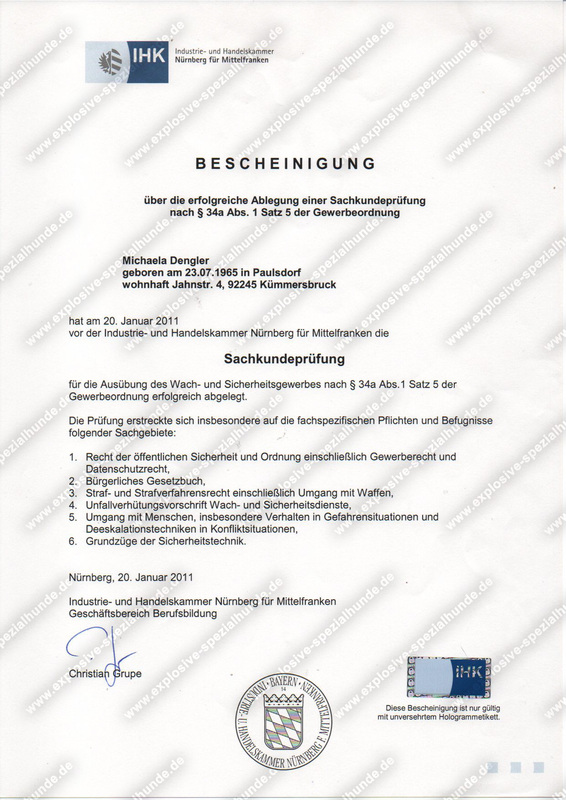 at trade fairs, stand security) and site surveillance. 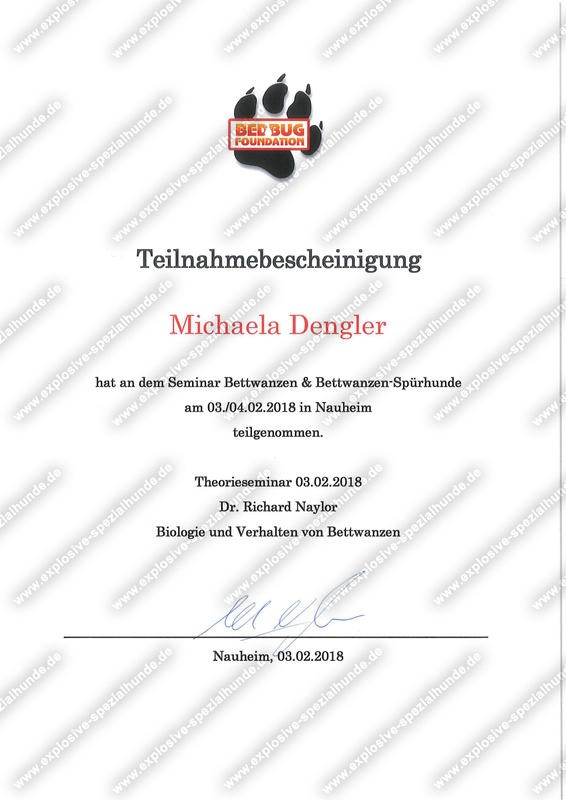 The main focus, however, is in the field of tracking dog work, be it the certified explosives detection dogs or the certified bed bug detection dogs. 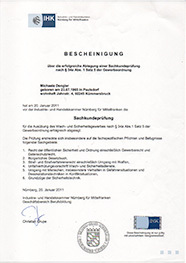 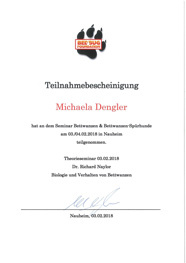 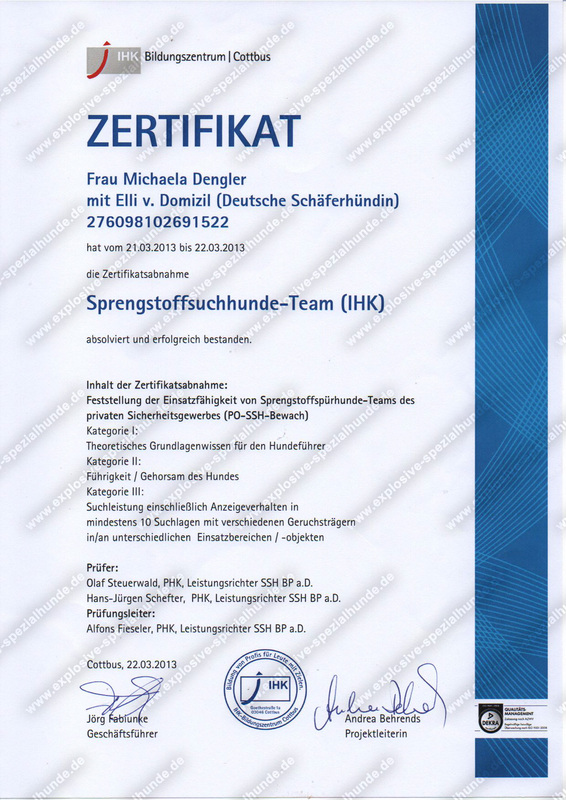 Our field-tested explosives and weapons detection dogs were certified by the IHK in accordance with the guidelines of the Federal Police (PO-SSH-Bewach). 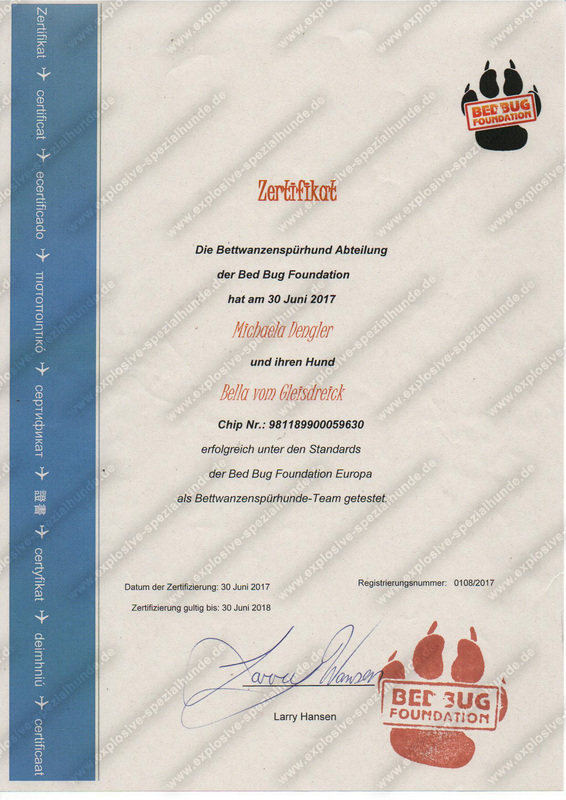 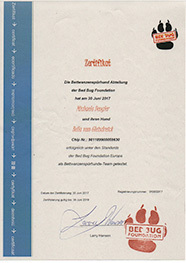 Likewise, our Bed Bug Dogs are regularly reviewed and certified by the Bed Bug Foundation (www.bedbugfoundation.org). 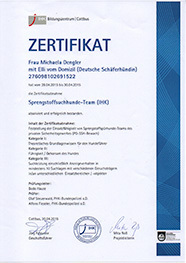 We would be happy to work for you.